We are offering to people who are former players male and female the opportunity to come and test if they still have the desire to play tennis in a progressive club. Offer children who do not currently play tennis to come along and try a new sport that is filled with fun and learning new skills. We offer the opportunity to juniors and seniors who may have moved into our area the chance to join a very well organised club to continue the sport of their choice. We are offering our female community members looking to come and try the sport for fun and see if this low impact sport is their way to keep fit.  We will provide organised social tennis for all levels to enjoy. Try a shortened version of tennis with playing in fast four sets. Special offer: For those members of the public who wish to join our club we offer special low rates for senior, juniors, families and parents of junior members from February until our financial membership year begins again in April. Please ask one of our Committee members on the day. We offer night tennis competitions, available to members and non members alike. Our Pro shop has rackets, shoes,bags, balls, grips and restringing at very competitive prices for all people to buy.